1. 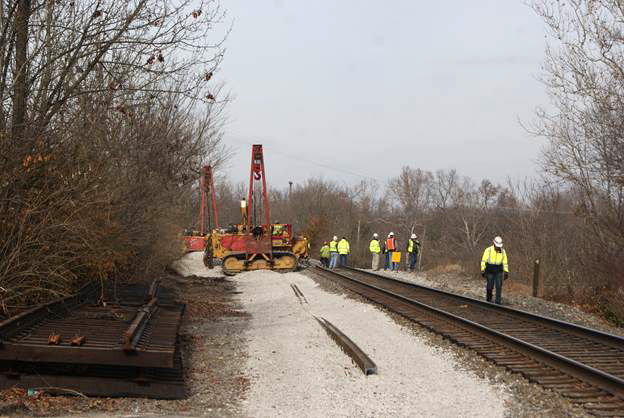 R J Corman derailment Crew conducting the clean up. 2. 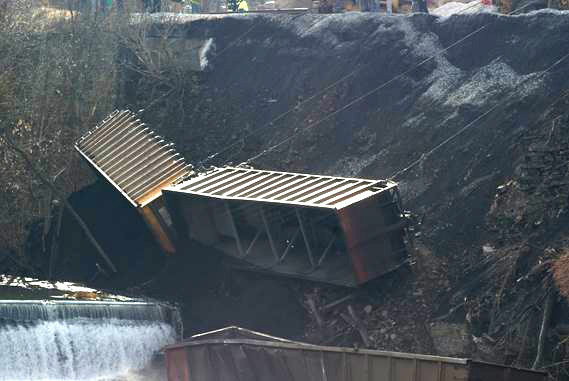 Three coal cars lying in Stoner Creek. 3. Closer view of two of the cars being pulled up the embankment. 4. 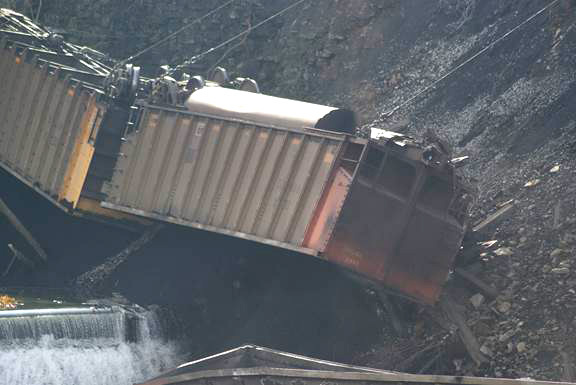 Closeup of one of the derailed cars over the embankment. 5. Wider view of the removal operation. At this time the cars have been removed from the creek. 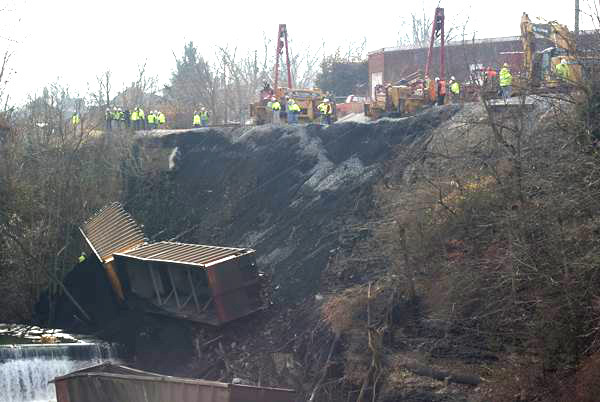 The work to remove the coal from the creek is just beginning. 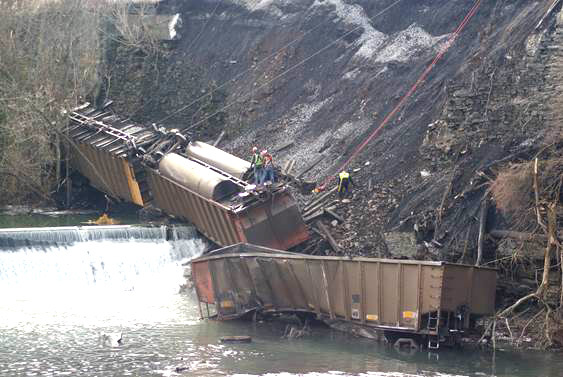 The CSX train was traveling from Toledo to Virginia.